The Shimano MT800 Press-Fit Bottom Bracket uses smaller bearings like those found on XTR and Dura Ace bottom brackets for less drag, and better sealing means you get more time riding and less time creaking. It's designed for use with 24 mm spindles like those found on Deore XT M8000 Hollowtech II cranks. 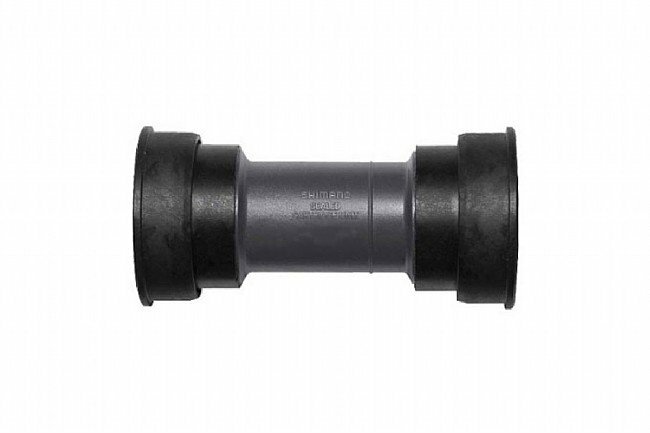 Compatible with 89.5 mm - 92 mm width press-fit bottom bracket shells with 41 mm inner diameters. Spacers included.